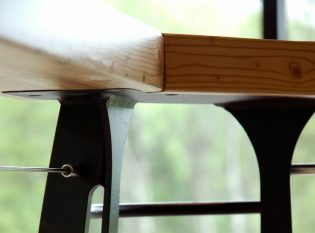 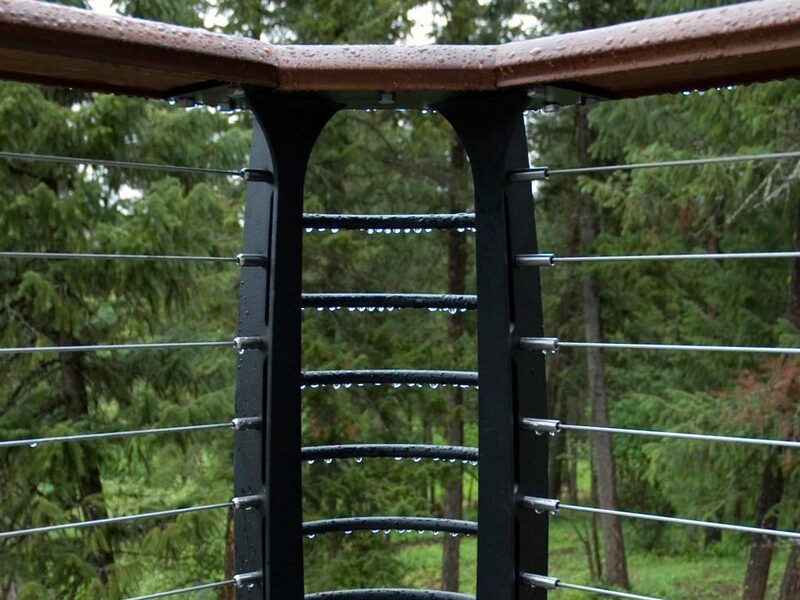 Material and Finish: "Raven Black" powder-coated steel posts with wood top rail. 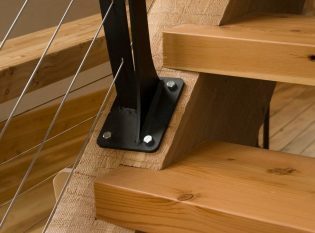 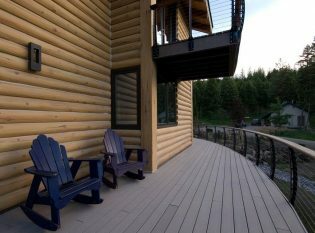 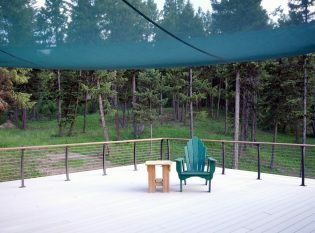 Description: Keuka Style cable railing. 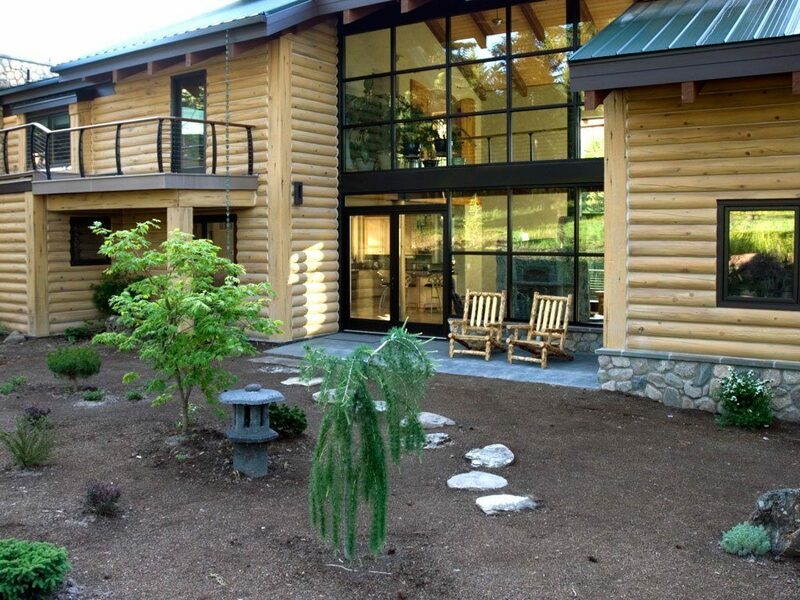 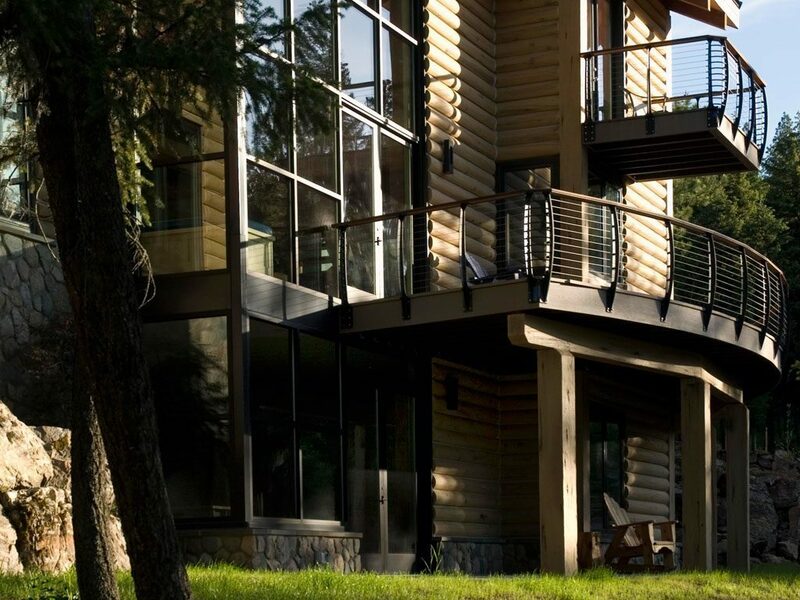 Hoyt Homes built this unique log home that seamlessly blends rustic and contemporary design. 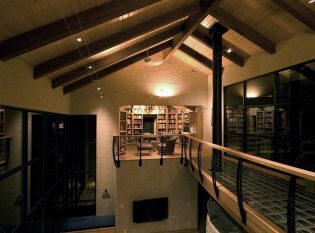 The home features concrete logs on its exterior and high ceilings, exposed beams, and a glass catwalk on the interior. 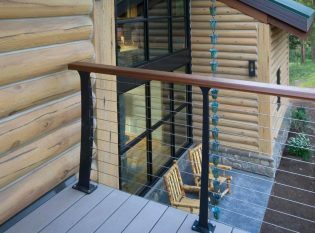 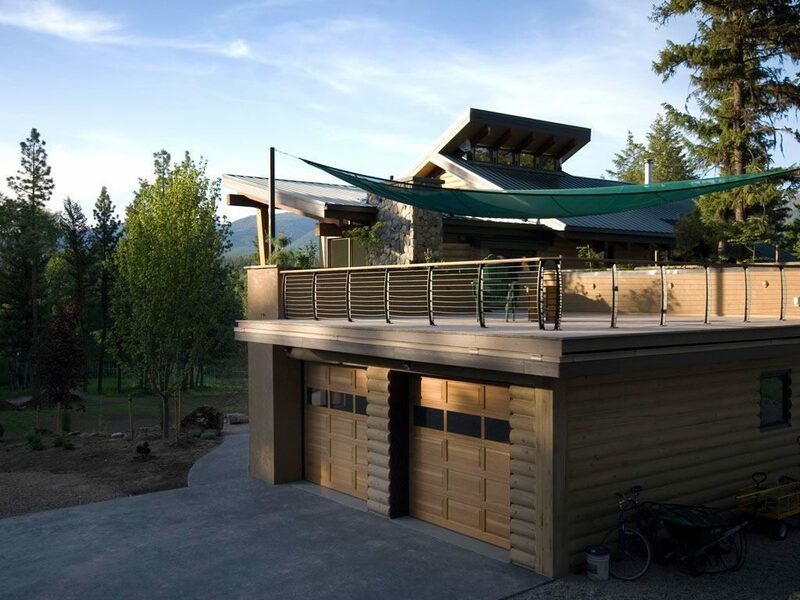 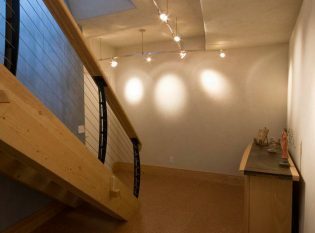 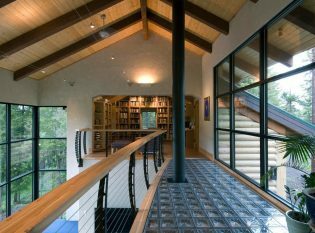 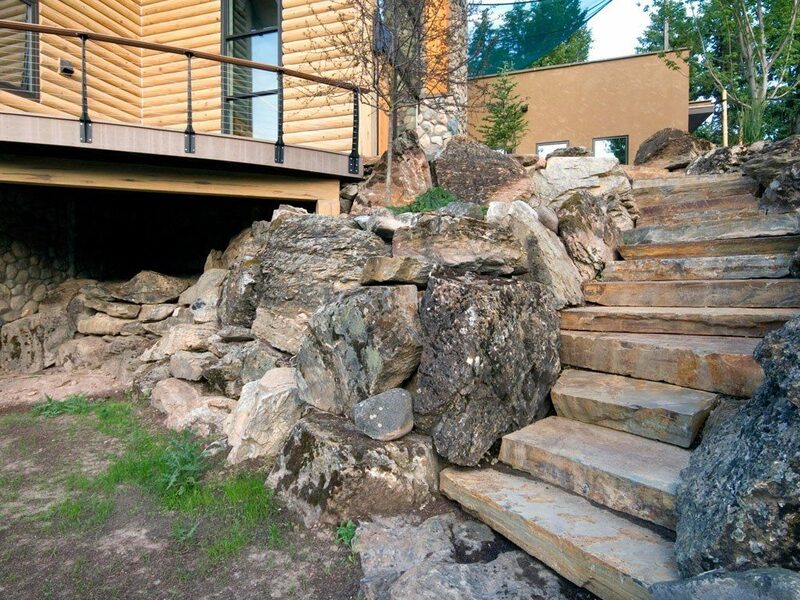 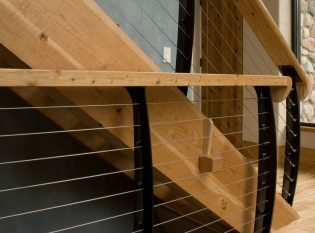 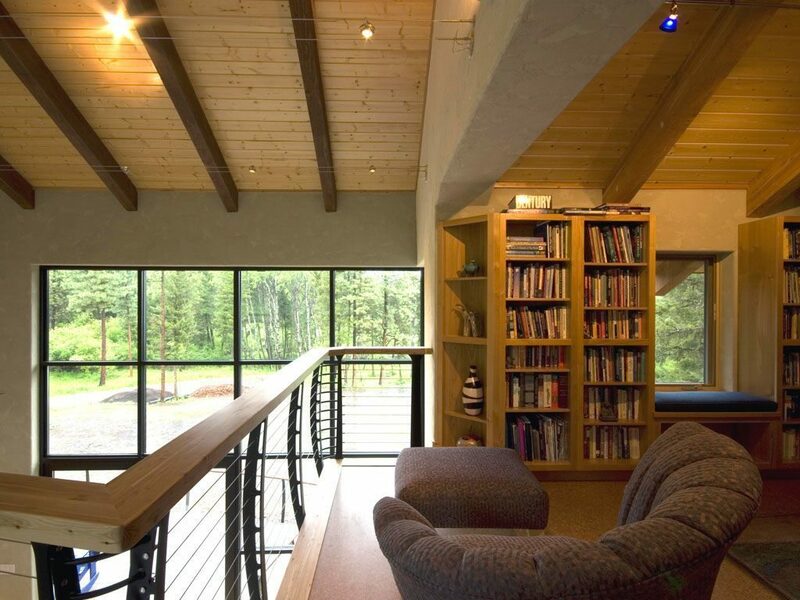 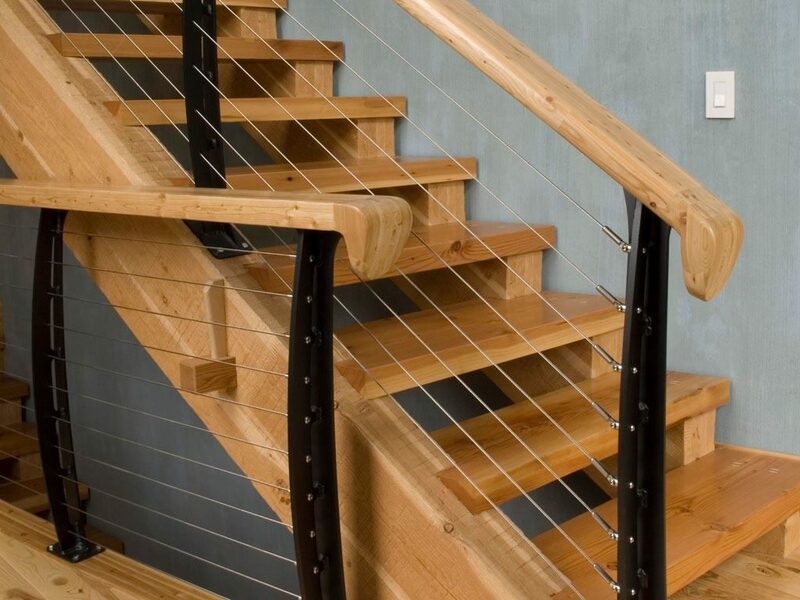 To complete their one-of-a-kind mountain home, our client wanted a custom cable railing system. 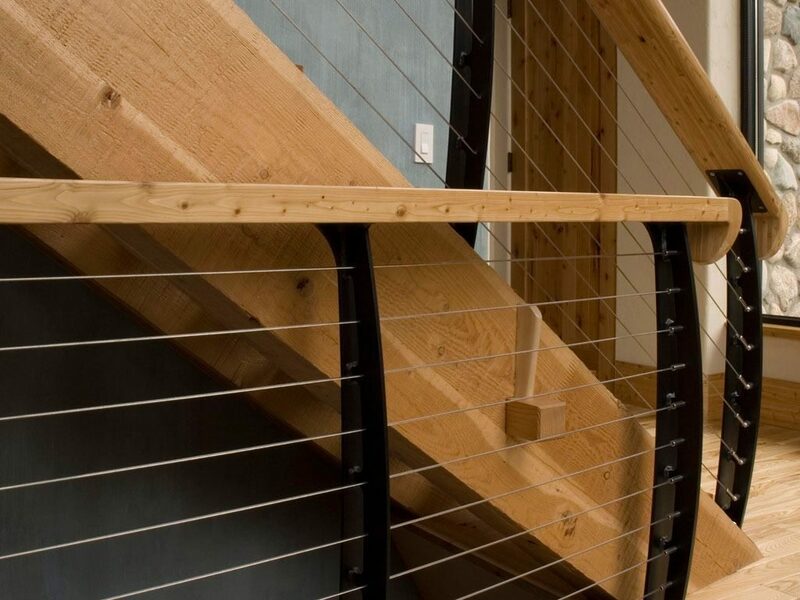 Keuka Studios designed a railing system for the catwalk, an interior staircase, an interior balcony, multiple exterior decks, and the rooftop outdoor living space. 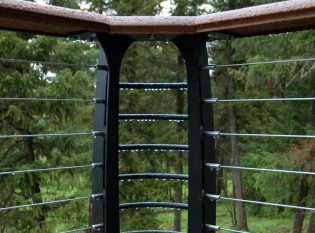 To match the existing architecture, we fabricated a Keuka Style railing system with “Raven Black” powder-coated steel posts and wood top rails.